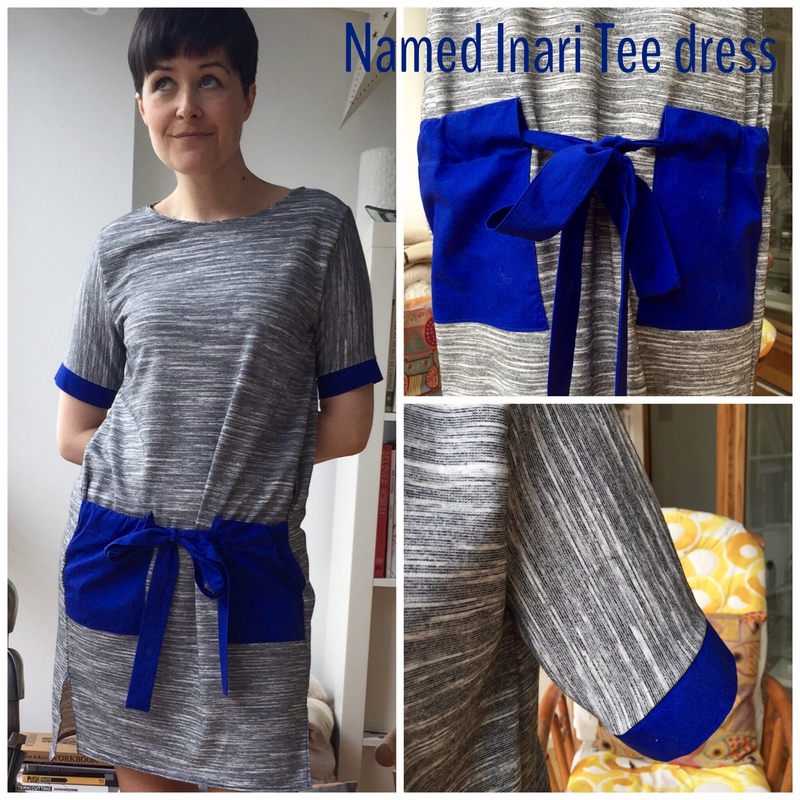 There are so many amazing versions of this Named Patterns beauty out there that persuaded me to buy the Inari tee pattern from the lovely Amy at The Splendid Stitch. I’ve also made their Talvikki in sweatshirting and a Talvikki/Linden mash-up in a gorgeous French Terry. Plus a several extreme cocoon versions of the Inari in woven and knit fabrics. 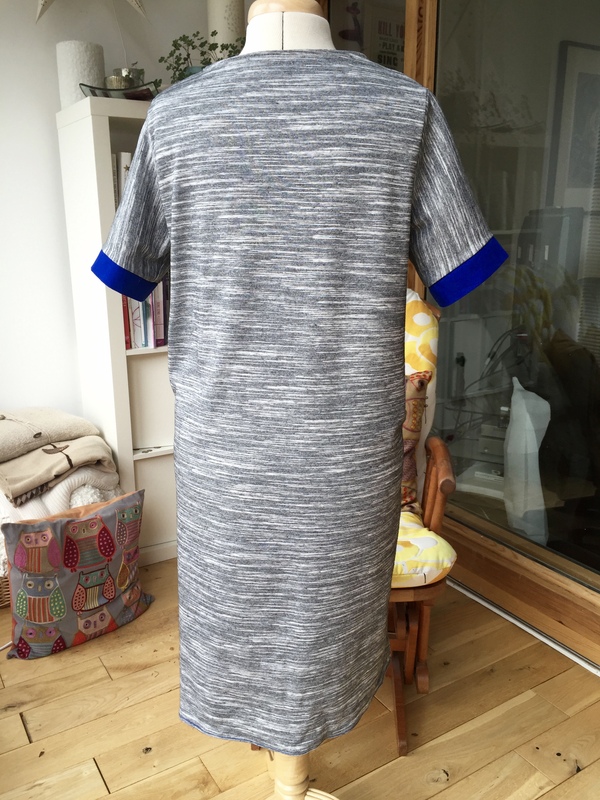 I had noticed a lot of people commented on the size so I based my decision on the finished garment measurements which was down a size from my normal choice. 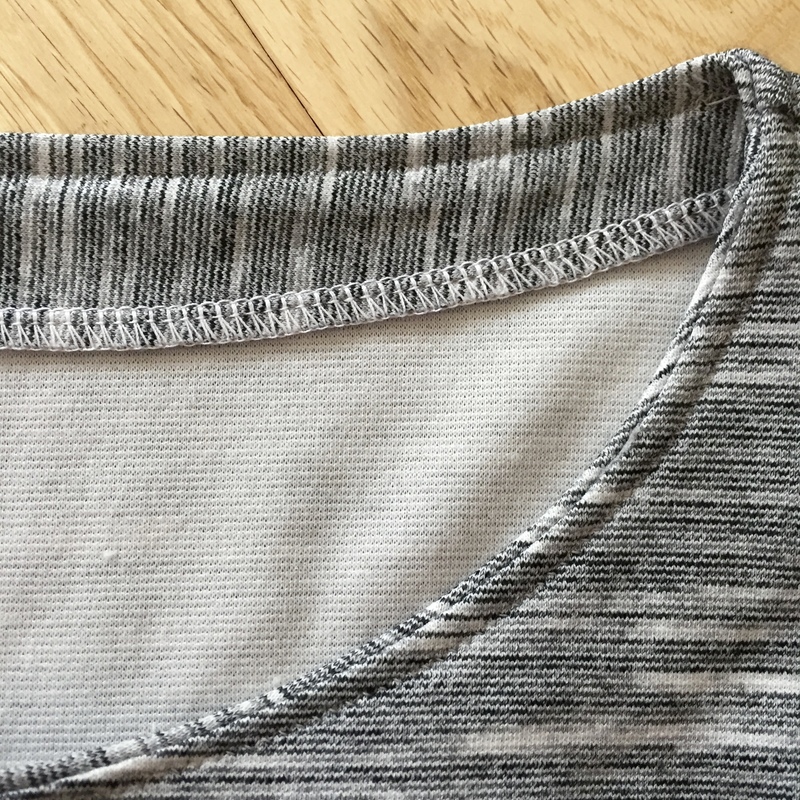 I traced off an 8 graded to a 10 at the hips and didn’t bother adding the seam allowances (not included in the paper pattern but they are in the pdf for some reason- this has now been changed on the new printed patterns). 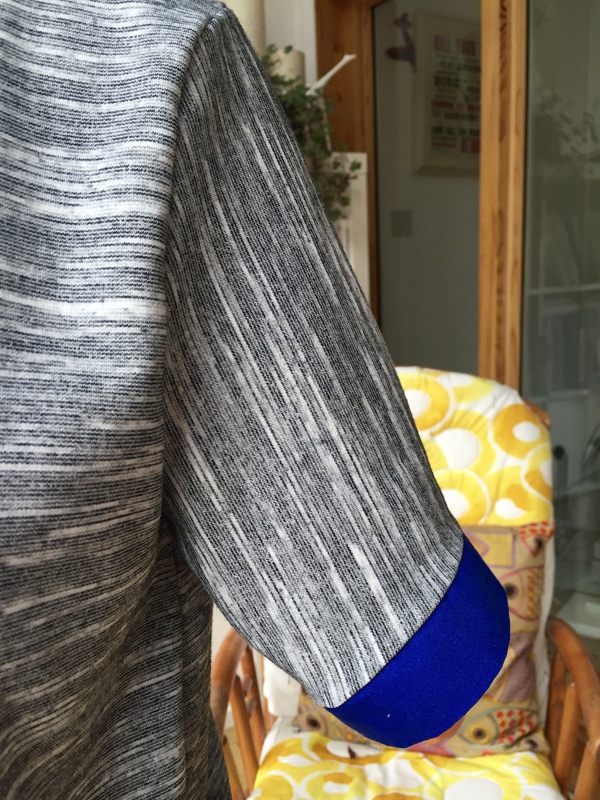 I cut the front and back pieces to the longest length on the pattern and added 5cm to the sleeve length too. 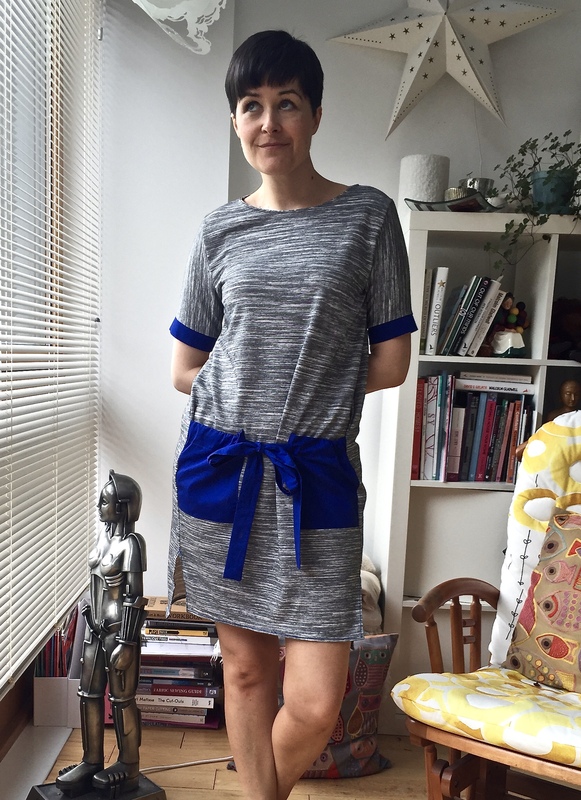 This is a wearable toile made in a knit resembling ponte weight bought from Remnant Kings in Glasgow. This fabric isn’t the greatest and I think it will pill quite quickly. 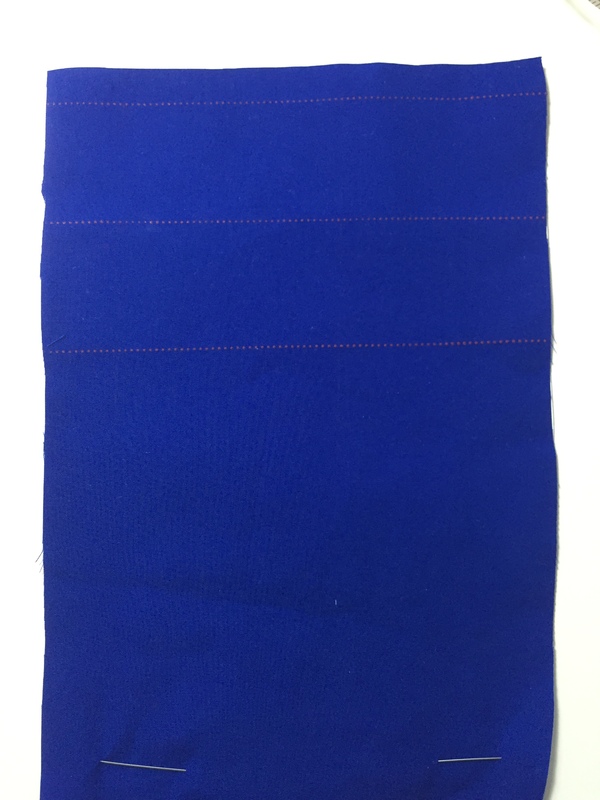 The pockets and sleeve cuffs are made from royal blue cotton poplin. 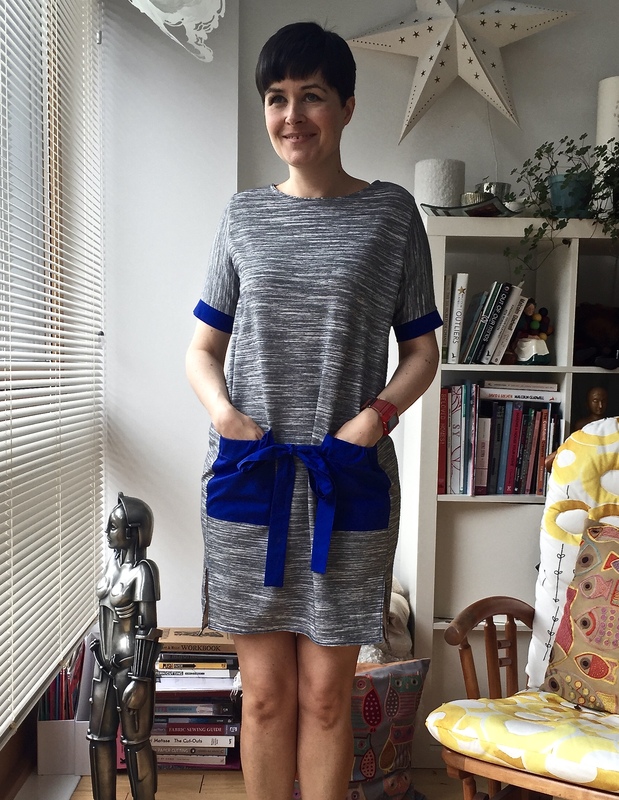 This dress needs very little fabric, I bought a metre and a half @150cm wide and had plenty to spare. 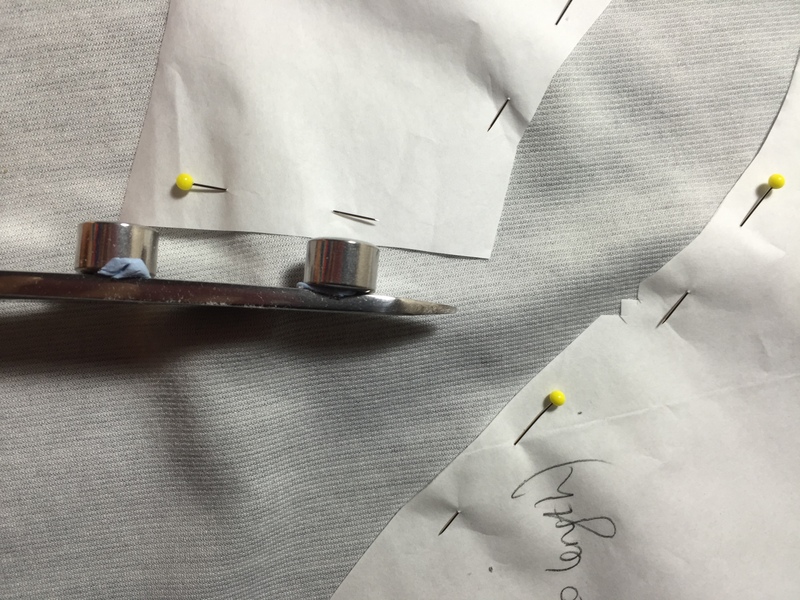 I took the easy way out with adding seam allowances at the cutting stage and stuck 2x1cm metal spacers I had lying around on my scissors and used that to give me the cutting line. It worked perfectly. The pockets are based on a favourite Cos dress. 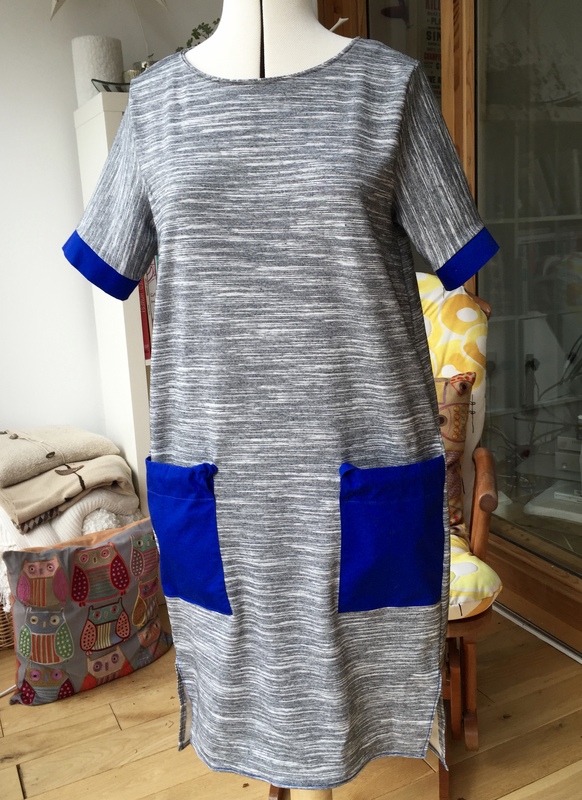 I wanted to see if I could recreate something similar to add a bit more optional shape and detail to the Inari and an find an alternative to in-seam pockets. 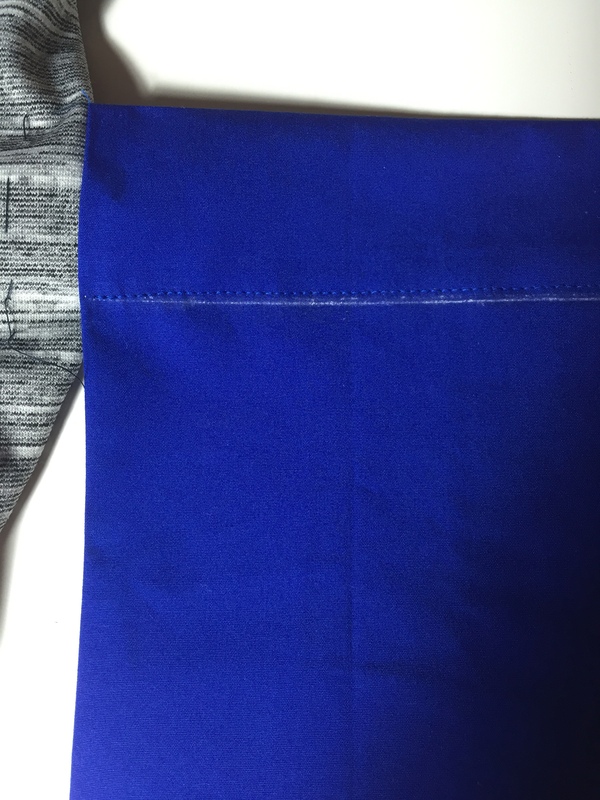 The tie pieces were cut to be 3.5″ wide by 28.5″ long, including 0.5″ seam allowance. They were simply pressed in half lengthways and stitched down one short side and along the long edge. The seam allowances were trimmed to about half then it was turned and pressed. The pocket bags on this one are 6 & 3/4″ wide and 7″ tall. The fold at the top is 2&1″ deep to hold the tie. 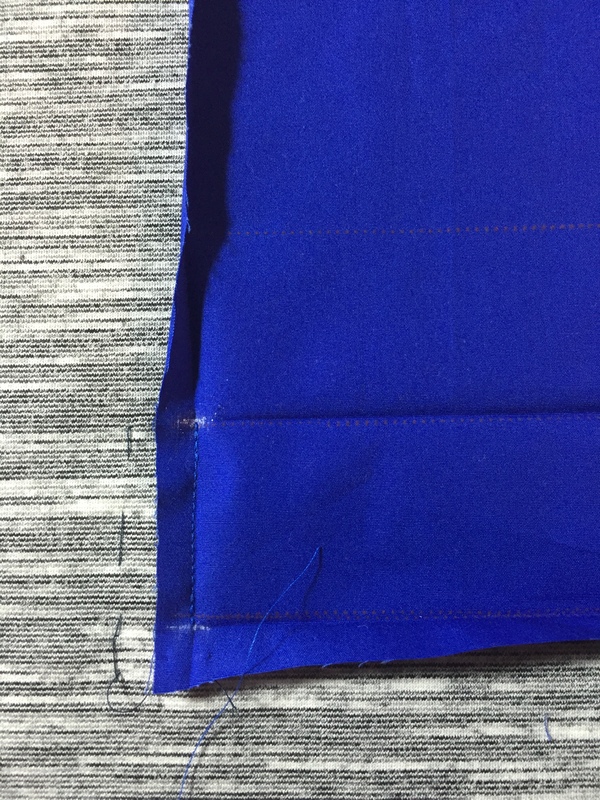 I thread traced the top edge and corner of pocket placement onto the dress front after working out their position. Press the seam allowances towards the wrong side all round. 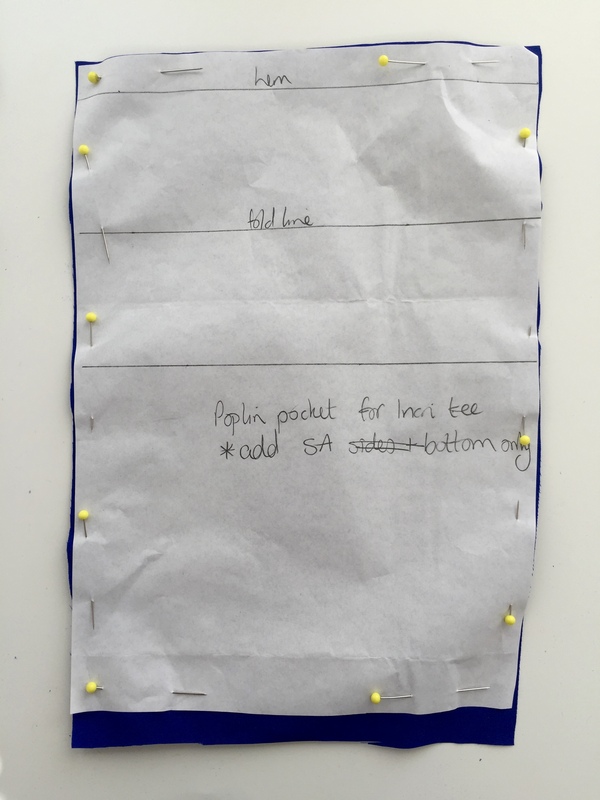 Place the pocket bag upside down, right sides together, on the dress and sew the from the stitching line to the first fold line only. Move the dress front out of the way and fold the tie casing closed then top stitch it down from the front (don’t sew the dress front). 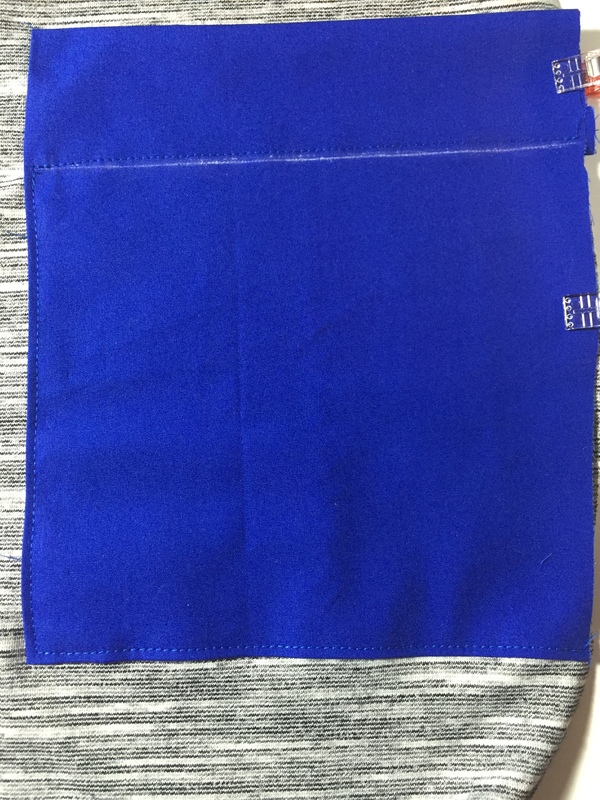 Lay the pocket out on the dress, matching the outer edge to the outer edge of the dress front. Topstitch the outer edge and bottom in place starting from topstitching for the tie casing. 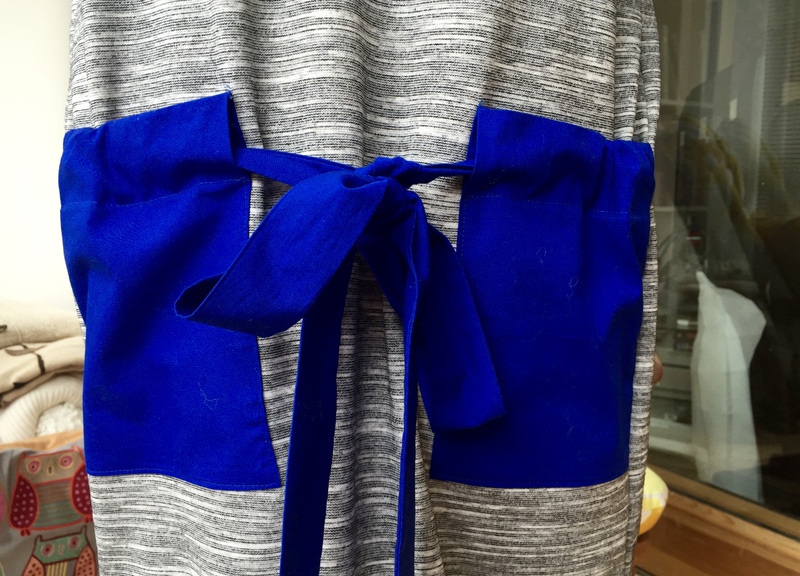 Insert the tie into the casing so it is lying flat and lined up with the outer edge of the dress front and baste the tie and outer edge of the pocket to the dress front within the seam allowance to hold it in place. Then carry on with the pattern instruction as normal. I also basted the sleeves into place to check the fit. 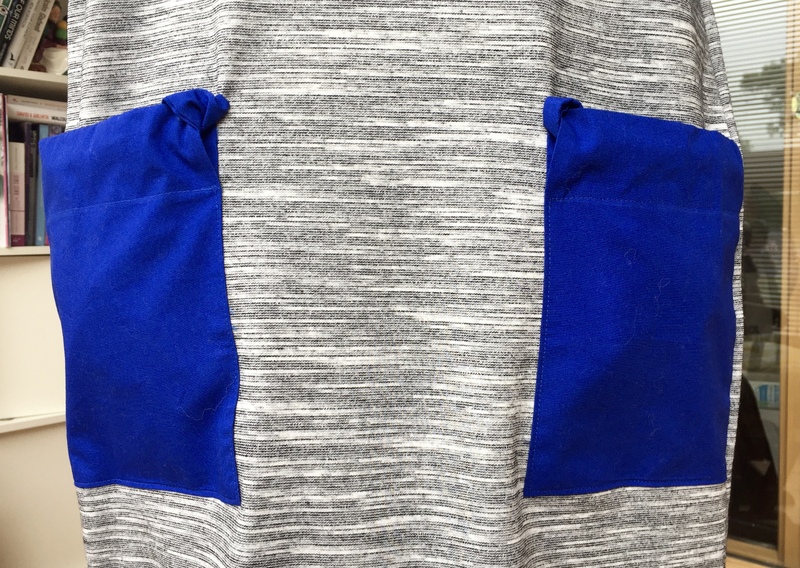 They are meant to be quite loose but I wanted to be able to get a cardigan over them so removed 1.5″ from the underarm seam and sewed the turn-up as a cuff which also added a little more length. I had cut both the facing pieces and the neckband out. 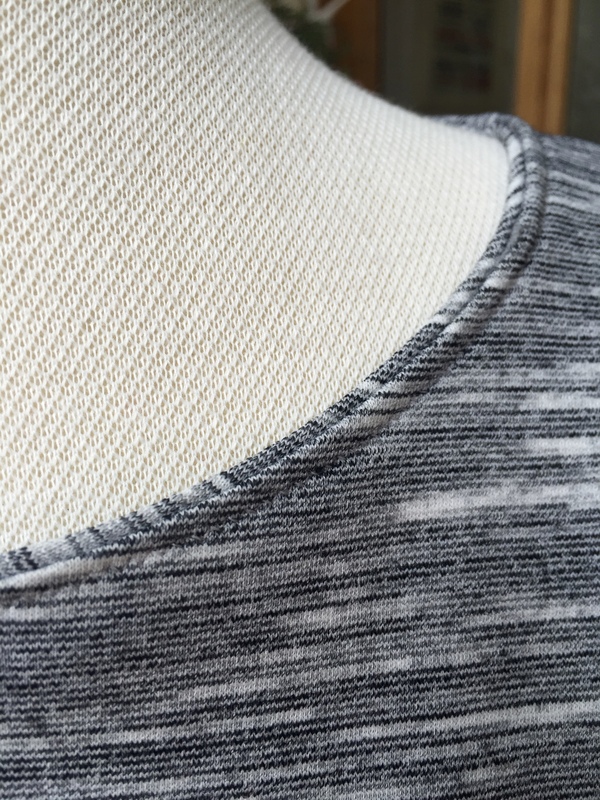 The neckband didn’t fit because I cut it on the lengthwise grain to change the pattern direction and add interest at the neckline. 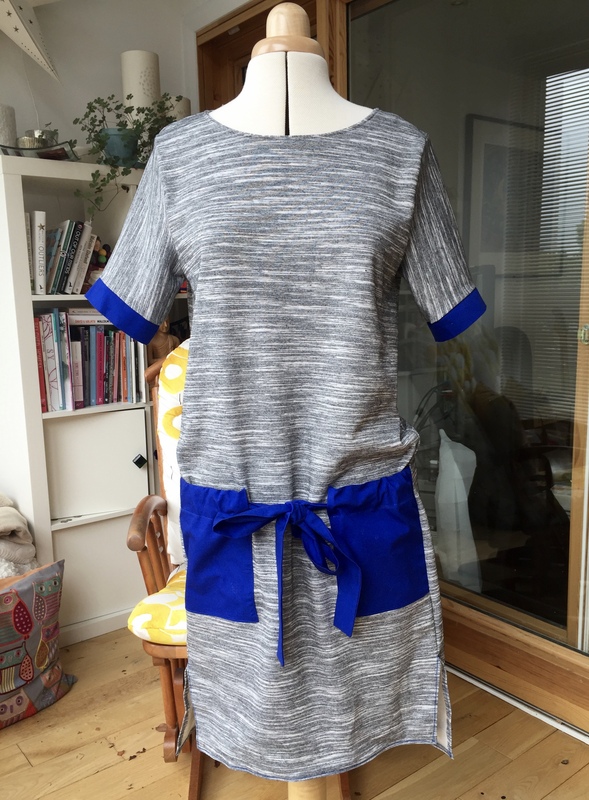 This fabric doesn’t have much stretch that way so it was too short (my own fault entirely). 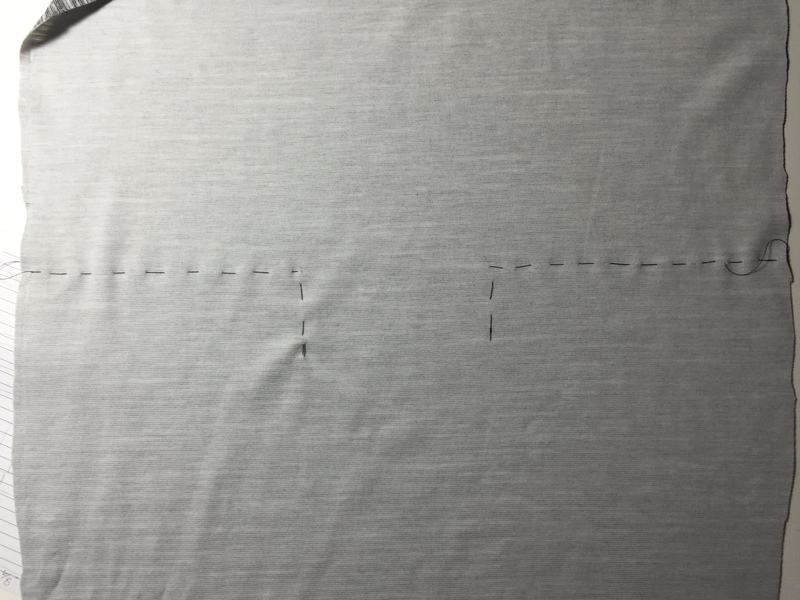 I just used the facing pieces instead and left it slightly peeking over the edge when I topstitched it because I likes the way it looked. It works! Next time I’ll make them a little deeper. I’m joining the Inari fan club- a fast make and it looks great. 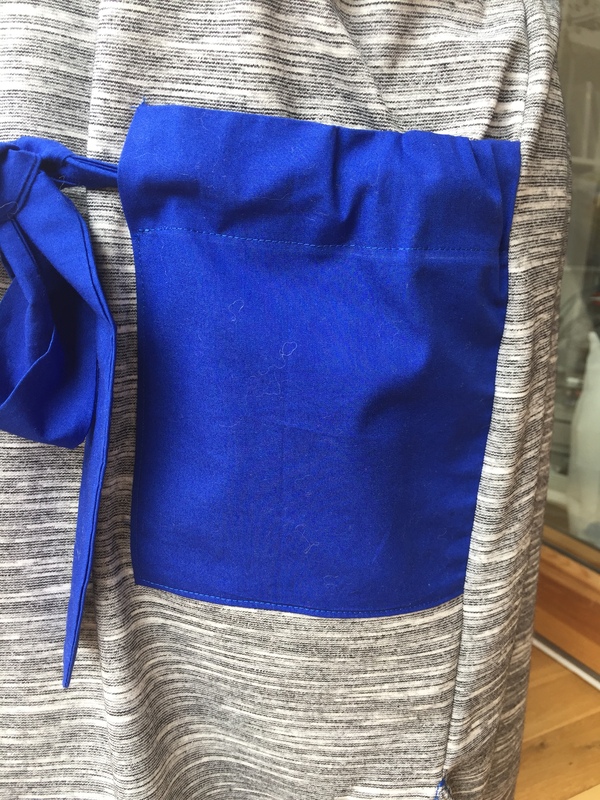 The size is bang on, the pockets easily hold phones and other necessary bits and pieces- toile success! I also love the way the ties can be tightened or loosened to adjust the fit and length of the dress. The ties can also be tucked out of the way to show of the cocoon shape of the dress as it was originally intended.